← On second thoughts I think I’ll walk. 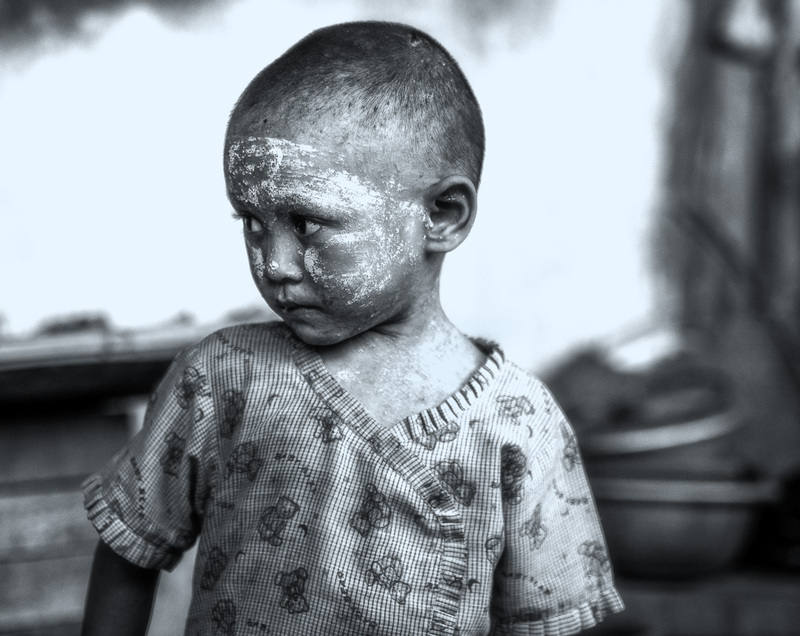 Today’s photo: A serious gaze from this boy in the market in New Bagan, Myanmar. I liked his combination of extreme youth and extreme seriousness. There is something quite timeless about him. But not necessarily sad I think – Myanmar seems quite a happy country – at least in this part. I recently posted this on Flickr as something of an experiment. In the past on Flickr my street/people shots had not got as many faves as my landscape or LE ones (possibly because they were not very good of course). But I also thought that this was because most of those who followed me preferred landscapes. Cleaning out my contacts a month or so ago, I was surprised how many of my Flickr followers who look at the stream actually took street shots themselves. So I posted this one, and to my surprise it did really pretty well (with nearly 300 favorites). That’s what led me to my current plan of just posting simultaneously to both here and Flickr, rather than separating out street from landscape.